She's not like a regular mom. She's a cool mom. Because she and Linden are still relatively new to parenthood, may we offer our heartfelt best wishes and some "fetch" parenting advice — using Regina George GIFs from Mean Girls. Be in touch with your emotions. Having a new baby at home is a lot. Let those feelings out. Don't be afraid to put your foot down. As your little one gets older, they're going to test boundaries. Never hesitate to let them know what is, and is not, going to happen. "Fetch," for example, is NOT going to happen. Not sure about the nutritional value of a food? That's an opportunity to start a dialogue with your family. Also, butter is actually low carb. You're all good there! It's OK to ask for some alone time without the kids. It's good to make time for date night when you can. Just ask the kid(s) for some privacy for, like, one second, and hire a sitter. Sometimes silence is the best way to lay down the law. Are your kids causing chaos? Sooner or later every mom perfects the silent, hands-crossed pose where you wait for them to get their act together. Are you a parent who just walked in on some nonsense? Confront the issue with your kiddos head on. If something's stressing you out, just don't even. Whether it's a disagreement over something your toddler wants at a toy store or a debate at a parent-teacher conference, "whatever" is an easy way to move on from a discussion that's wasting your time. There's no shame in opting for hand-me-downs and used clothing for your kids... they grow up so fast! It's healthy to talk to your children about s-e-x. Details about mom's personal experiences may be a little TMI, though. If someone is really pretty and thinks they're really pretty, push them to admit that they think they're really pretty. May we all be confident enough to know and acknowledge our beauty, inside and out! It sets a good example for your children. For instance, if someone says "Wow, your house is really nice," a simple "I know, right?" shows that you're not shy about taking a compliment. Own it. 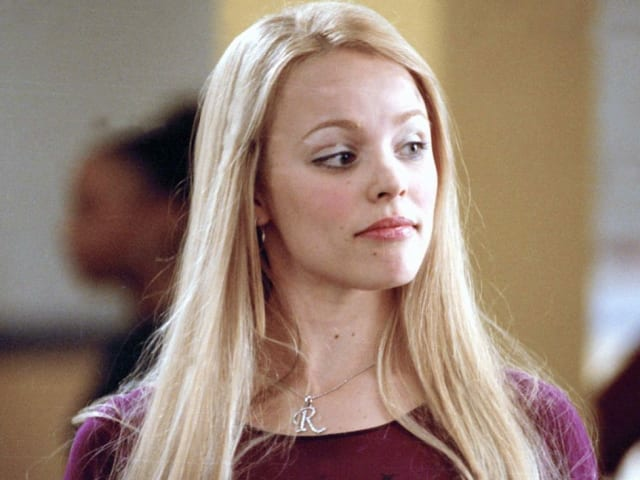 What do you admire most about Regina George? Her hair's insured for $10,000. She does car commercials in Japan. John Stamos told her she was pretty.